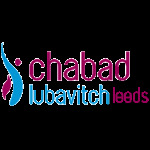 Chabad-Lubavitch is famous worldwide for its warmth and acceptance. Here in Leeds our services are also open to all, warm and welcoming. No membership or prebooking required. Mincha at Candle Lighting time, followed by Kabbolas Shabbos and Maariv. Join us for Shabbos Morning services at 10 am followed by a hot kiddush. Shabbos Mincha services follow the Kiddush, and Maariv takes place at the termination of Shabbos. Click here to download our service times for the month of Tishrei 2013/5774.